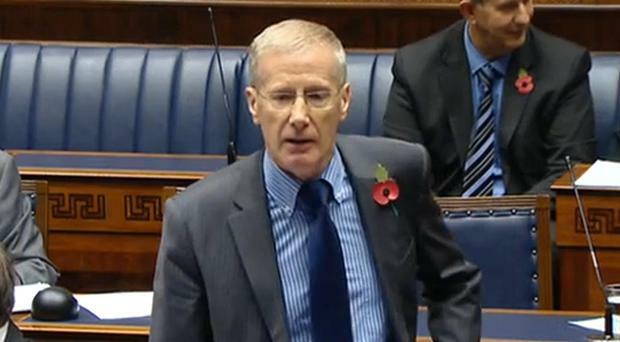 The DUP's Gregory Campbell had been criticised after comments appearing to mock the Irish language. He came under fire for his comments from the Culture Minister Caral Ni Chuilin, during a debate on the Irish language and Ulster Scots. Speaking today, he said "curry my yogurt can coca coalyer" - sounding similar to the Irish phrase, 'go raibh maith agat, Ceann Comhairle' often said by Sinn Fein members. It means 'thank you, Speaker'. "If it's anything to go by, what you just did, we don't need a strategy for pure ignorance. "I think your conduct is not befitting members of this chamber."